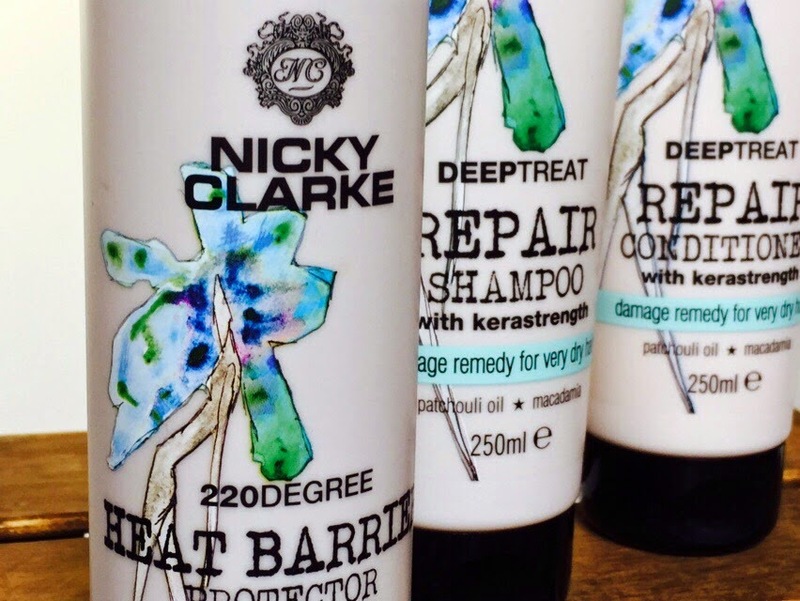 Chances are you've heard of Nicky Clarke, and the Nicky Clarke brand. 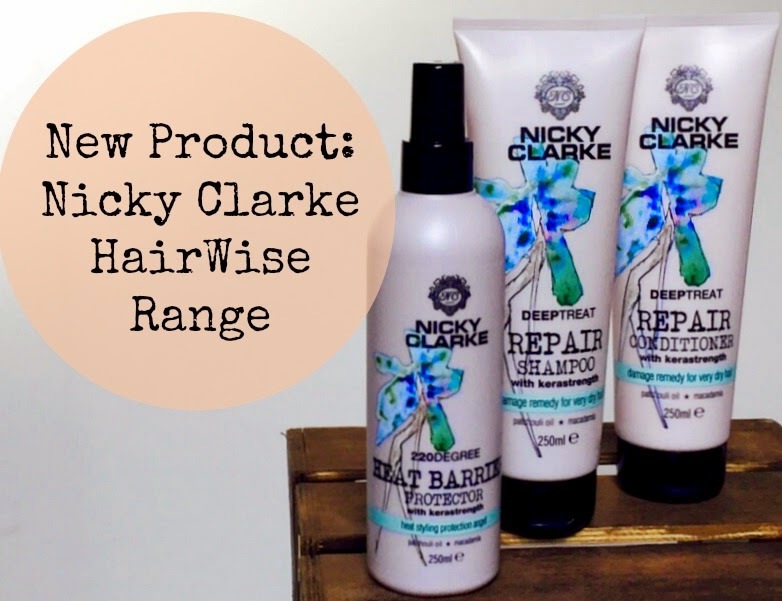 With salons, electrical range and 25 years worth of experience helping keep them at the forefront of the industry, I was very excited when I got my hands on the new range and really had to keep it zipped to avoid spilling the beans before the launch date. Which is today. Phew! The HairWise range includes 17 different products to specifically concentrate certain aspects of your hair. All are forumlated with Kerastrength, a combination of Keravis (proven to strengthen) and Vitamin E. It's all about nourishment from the inside out. LIGHTBOOST, the shampoo and conditioner are perfect for blondes. 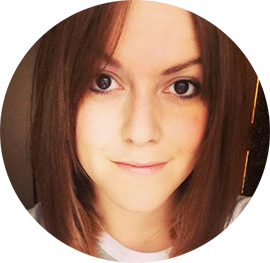 The range can help brighten and boost highlights thanks to the Camomile and Sweet Neroli. SUPERGLOSS, specifically for brunettes. The Coffee and Cedar Wood in the shampoo and conditioner help give shine and boost radiance. SMOOTHSILK, if you suffer with frizzy hair, then the shampoo, conditioner and frizz calm treatment containing Shea Butter and Argan Oil will help calm and moisturise. DEEPTREAT, if you've got very dry hair, or you are in need of much need nourishment, this is the type for you. Macadamia Seed and Patchouli in the shampoo, conditioner and heat protector spray help hair repair. TEXTUREBUILD, this is one for ladies who love volume, containing Ylang Ylang and Wild Sage. Made up of a shampoo, conditioner and lift, thicken and shine spray it promises an extra oomph without a heavy feel. I've been using the Heat Barrier Protector spray, and have to say I'm very impressed. It's light, smells great and helps protect hair up to 220 degrees. Full review on the DEEPTREAT range coming soon. The packaging looks fantastic and I can see the range, exclusive to Tesco, being a massive hit. Prices range from £1.20 - £5.99, and Tesco will be running a 2 for £7 offer on the full range! Officially launching today, it's definitely worth popping the products to suit your hair in the trolley. These look fab! I especially want to try the supergloss.